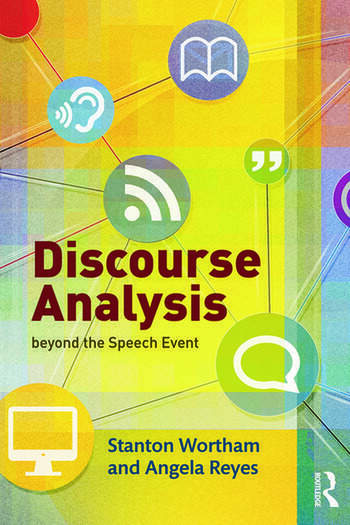 Discourse Analysis beyond the Speech Event introduces a new approach to discourse analysis. In this innovative work, Wortham and Reyes argue that discourse analysts should look beyond fixed speech events and consider the development of discourses over time. Drawing on theories and methods from linguistic anthropology and related fields, this book is the first to present a systematic methodological approach to conducting discourse analysis of linked events, allowing researchers to understand not only individual events but also the patterns that emerge across them. Incorporates sample analyses from ethnographic, archival and new media data. This book is essential reading for advanced students and researchers working in the area of discourse analysis. Stanton Wortham is Judy and Howard Berkowitz Professor at Penn GSE. He has written on classroom discourse and the linguistic anthropology of education, interactional positioning in media discourse and autobiographical narrative, and Mexican immigrant communities in the New Latino Diaspora. Angela Reyes is Associate Professor of English (Linguistics) at Hunter College and Doctoral Faculty in Anthropology at The Graduate Center, CUNY. She has written on language and racialization, Asian American youth, and ideologies of mixed race/language in the Philippines.